Ok, we have survived day one! There had been much mess, noise and I must say, some fun, in the process. It was great to get the kitchen packed up and pulled out in one day. 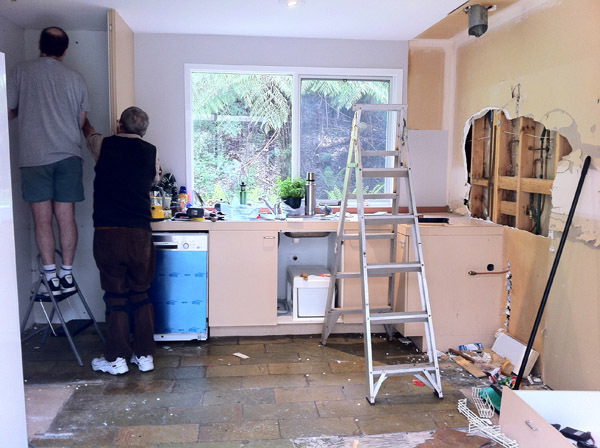 We had thought up until recently, that we could have repurposed the kitchen on eBay, but due to the fact it was originally built on site, it was impossible to pull it out and keep it in a usable state. The laundry has been transformed into a mini kitchen and we have likened our experience to camping, complete with us sleeping on the air mattress in the lounge. Which is where I am headed, just as soon as I can. We have sent the in-laws off to bed, totally stuffed. Their flight was delayed yesterday by four hours, so it has been a big couple of days for them. They’re pushing out the zzz’s as I type. 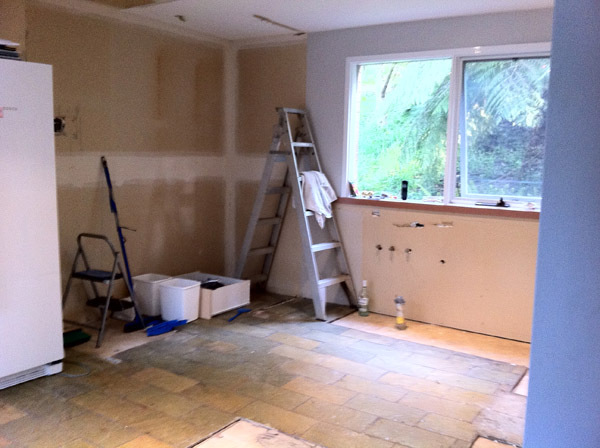 Tomorrow there will be small wall removed and the slate will come up in the kitchen area. 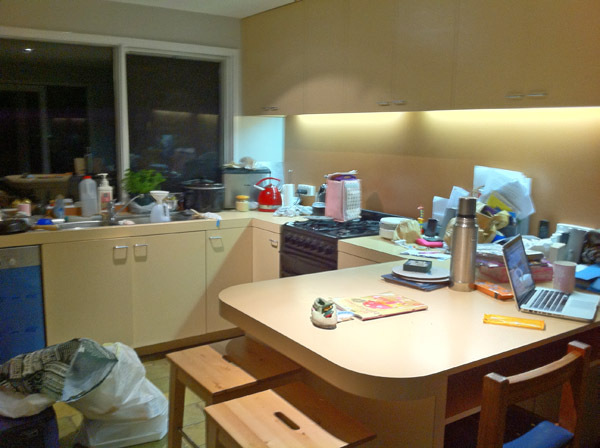 There is still a lot of work to be done, as you will judge by the photos. I’ll try to up date when I can. This entry was posted in Renovations (Renos 101!) 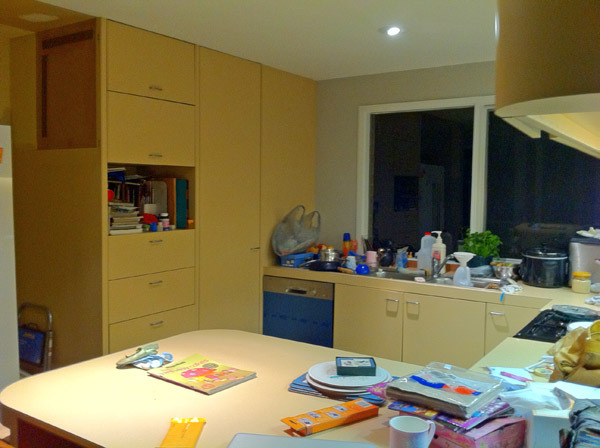 and tagged Home renovations, Kitchen renovations. Bookmark the permalink. I think that is the worst part, the ripping out! Now you get to put in the brandy new stuff-all the fun!! So exciting! I can’t wait to see how you get on!